Since 2005 North Arlington Texas Area Volunteers, University of Texas at Arlington Student and Faculty Volunteers and the Arlington Parks and Recreation Department have held The Randol Mill Park Nature Preserve Quarterly Oak Savanna Restoration Day Events in the Randol Mill Park Nature Preserve. These scheduled nature area clean up events have been held on Saturday mornings from 8 am to 12 noon. The events have been part of the UTA Big Event Spring schedule for the last 6 years. UTA student and faculty volunteers enjoy these nature area events and learn about native and invasive species plants. The quarterly event schedule takes into consideration university student examination scheduling. The efforts during these events mainly include cutting privet and moving the privet towards a chipper / shredder to be chipped. Parks personnel operates the chipper. These privet clean up days are enjoyable, fun and safe for the volunteers. The area from the perimeter of the nature area to the work area is recently mowed so that the grass is not high and insects are at a minimum. Refreshments – soft drinks, water and candy bars are provided. Many of the student volunteers bring food and set up a table. Parks department staff and area volunteers are friendly. The experienced staff and volunteers share knowledge of the Southern Cross Timbers Ecosystem. If this sounds interesting to you and you or someone you know would like to participate please send us an email. We will send you a schedule of events forthcoming. There are a few simple guidelines to follow to maintaining the native post oak and black jack oak trees on public lands and private property. Small to medium sized trees along with shrubs and flowering plants provide a full array of color. These plants are acclimated to the region and are easier to maintain compared to plants not indiginous to the Southern Cross Timbers region. 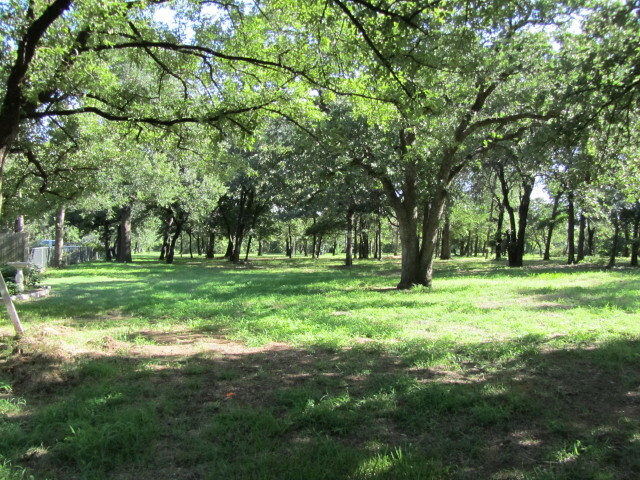 Post Oak Woodland and Savanna Restoration Projects offer UTA student and faculty volunteers and additional area universities and colleges the opportunity to enjoy and learn about nature in the region. 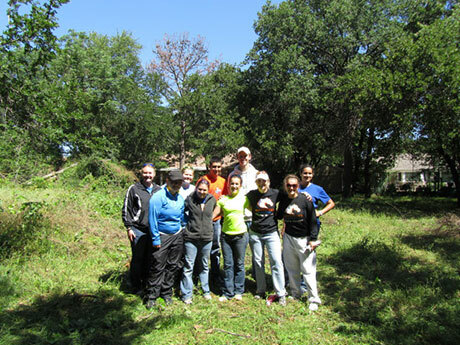 UTA student and faculty volunteers have a proven track record of vegetation management volunteerism in the Randol Mill Park Nature Preserve. • Stone creek bank stabilization projects.